An employee from Bungie worked with the Halo PC community to patch the game so it can live on past Gamespy's death. 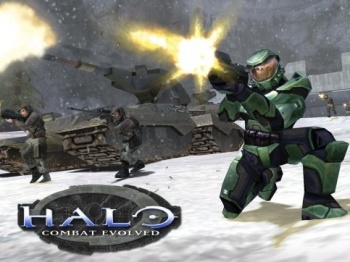 Halo for the PC was one of the multitude of games that relied on the PC matchmaking service Gamespy for its online play. When GLU announced that it was pulling the plug on the service, Halo PC fans were understandably distraught. Luckily, Bungie has swooped in to save the day, working with fans to create an official patch for the game that will allow it to survive after the shutdown. Hooray! You can download a test version of the patch direct from Bungie's website, though a final version should come down the pipe at some point soon. The patch uses a new Master Server list that is completely independent of Gamepy, and the Halo dedicated server code is included in .zip, which will allow fans to continue to host their own servers for as long as they see fit. Little stories of a dedicated PC gaming community banding together (with a little help from a dedicated developer) make me proud to be a PC gamer, especially in the face of Halo 2 going dark forever due to the limitations of the Xbox. Fight on, you crazy Halo PC gamers.